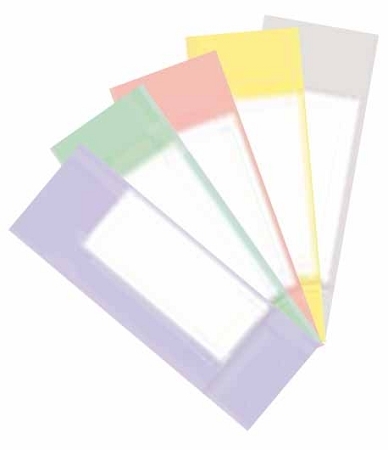 Our Thermal Ticket Stock measures 2" wide by 5 1/2 " long with a 1" stub on the lead edge. Designed for the Folio Box Office Software or any others that use this size and style of ticket. Mix or match colors to obtain quantity pricing. Quantity discounts will show automatically in the shopping cart. Custom ticket stock can also be ordered from us. Special sizes, logos, disclaimers on the back and advertisements are all available just give us a call at (715) 845-2794 for a special quote.